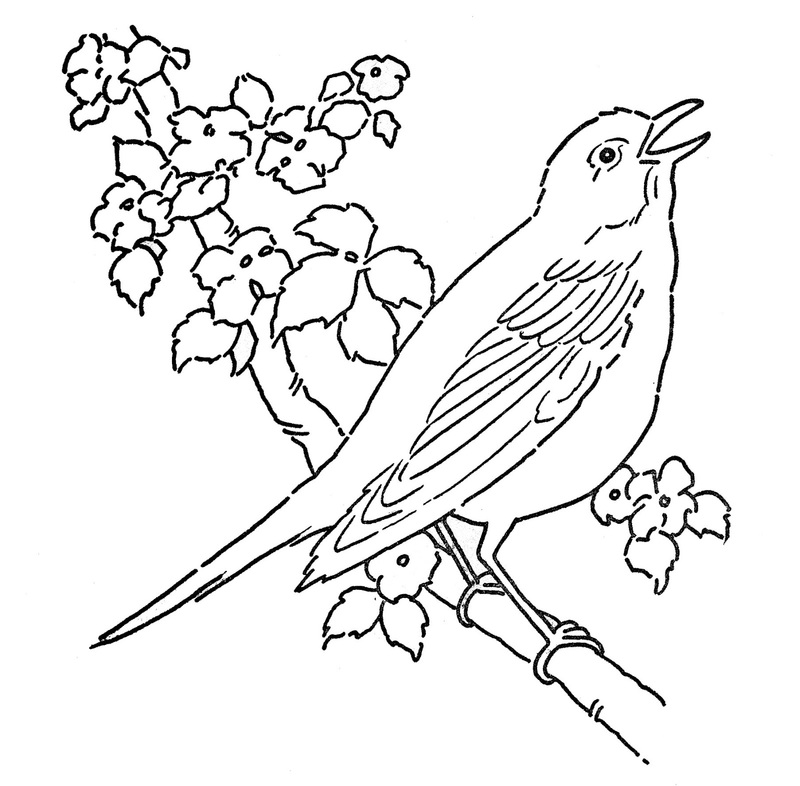 This is a lovely Vintage Line Art Drawing of a Bird sitting on a Branch of Blossoms! This one comes from a 1940’s Kid’s Coloring Book. 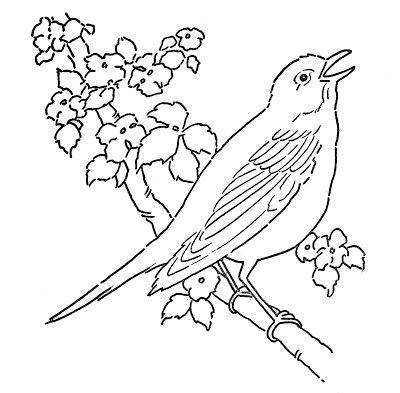 You could color it in, or use it as an Embroidery Pattern! Welcome, I’m so glad you’re here! Browse around to find thousands of Stock Images that you can use in your projects or designs! I post new Vintage images every day. You can subscribe via email so that you don’t miss a single graphic, just click HERE to sign up! Need more info about my site? Try my FAQ page. Oh I LOVE this Karen! Perfect for spring!Thank you for sharing! Karen this is going to be faboulous to color and place on a card or altered art! Thank you so much, big hug!!! don’t know if i’ve commented before, but if not – it’s about time i do. 🙂 i LOVE the graphics you share – thank you so much for doing what you do! Thanks for this Karen – a lovely image. Thanks everyone!! I’ll try to find more like this one! I love the line art images, I can’t wait to try and use them, thank you so much!